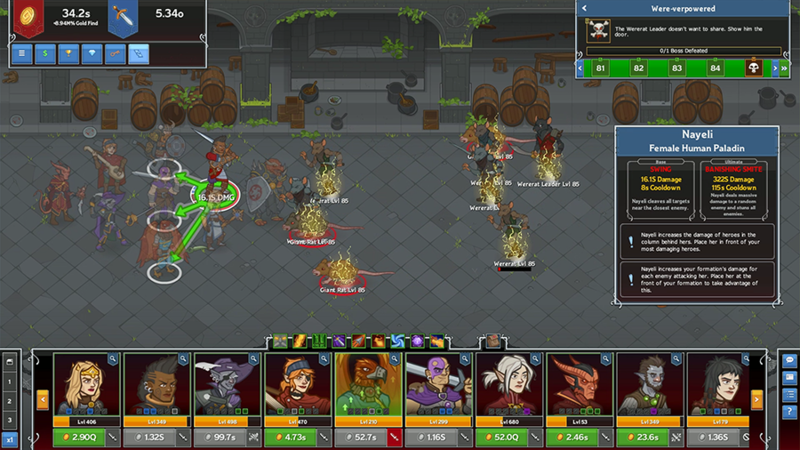 Tags: idle, champions, early, access, event, great modron march. Several times each century the clockwork plane of Mechanus mobilizes a vast wave of modrons and sends them on a tour of the cosmos. Known as The Great Modron March, this unstoppable tide of lawful constructs journeys across the material plane on the exact same route each time. However, this time something has changed — the modrons are marching on Waterdeep. 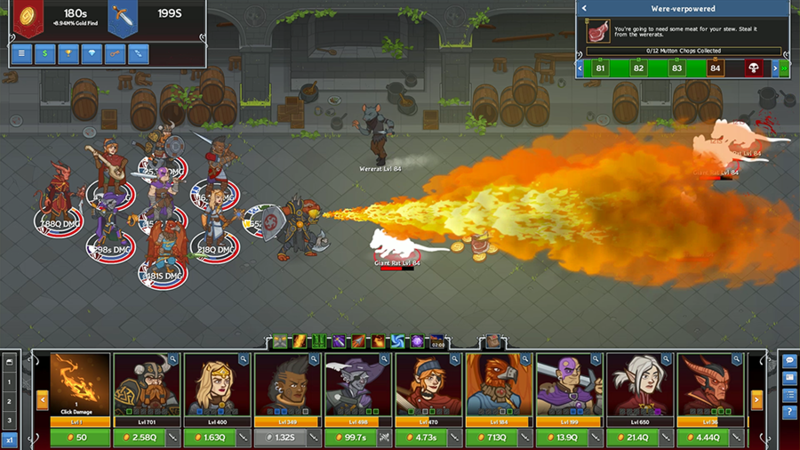 The Great Modron March starts today on Steam and Tablet for Android, runs until Monday, June 4th at 12:00pm PDT, and introduces Evelyn Marthain, the Human Paladin of Lathander! Note: Apple iOS users will have to be patient with us as we work with Apple to make The Great Modron March available for iPad players as soon as possible. Caring, motherly, and endlessly optimistic, Evelyn has adventured across the realms as part of the Waffle Crew with Strix, Diath, and Paultin for many years. She's always first in battle, thanks to her flying boots, and will always take a hit to protect others. Short, yet tough, her devotion to Lathander has seen her through many perilous situations. 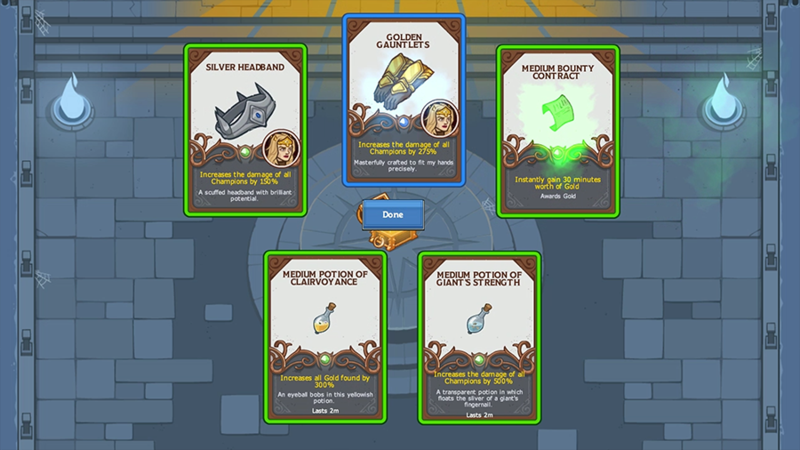 When you want to add Evelyn to your party, you can swap her with Asharra or Krond. The Neverending March — Every time a Modron is killed in non-boss areas it shuts down for five seconds and then comes back to life with full health. (Hu)man vs. Machine — All human Champions get a buff called "The Human Spirit" which increases their damage by 5% in each area (stacking multiplicatively). 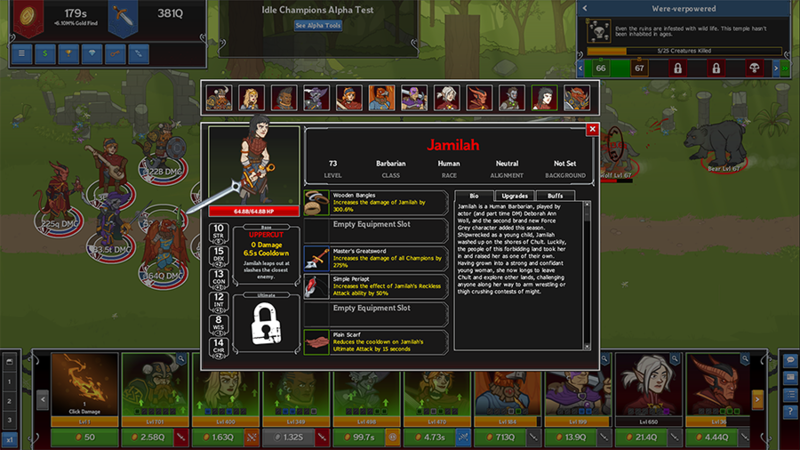 Charge Into Battle — Enemies move extremely fast and deal massive damage to everyone except Evelyn. Evelyn starts the adventure at level 1 and in the front slot of the formation. 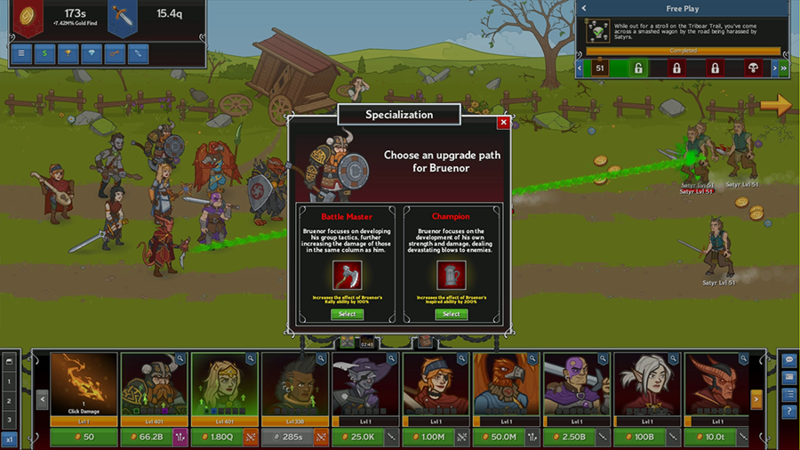 Added The Great Modron March event, our twelfth limited-time campaign event! The event will run on Steam and Tablet for Android until Monday, June 4th at 12:00pm PDT. 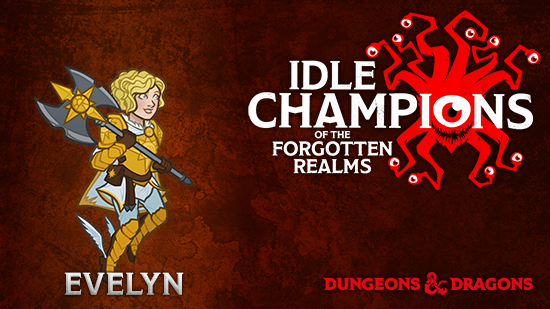 Added a new Champion: Evelyn Marthain, the Human Paladin of Lathander. Added a new event Divine Favor: Gond's Favor.